PAC Info - Paws & Claws Animal Rescue, Inc. Welcome to Paws and Claws! Paws and Claws Animal Rescue, Inc. is an animal rescue based in Hebron, KY and we have one mission: to give as many dogs, cats, puppies and kittens a chance at the best furever life they can have. We are a foster based, strictly volunteer 501(c)3 nonprofit organization and we rely on donations from the public to help keep us running. Check back often for updates, special appearances and ways you can help. We are happy to offer you TWO ways to donate to our mission of saving unwanted pets from shelters! You can choose a one time donation by clicking the DONATE button below. Paws and Claws Animal Rescue, Inc. is a 501c3 organization, so all donations are deductible, and they will be greatly appreciated! Your donation will help dogs and cats that need loving homes. Each month we send out our Monthly MUTTering--a newsletter that details information about events, adoptable animals and how you can help us save more lives. If you would like to subscribe to this newsletter, please enter your email address in the box below and you will be subscribed. Thank you so much for your support! It has been brought to our attention that Paws, Claws and More in Wingo, KY, has possibly been using our federal ID number to pull dogs. We are in no way affiliated with that organization, and we do not support what they do. Please know that anyone using our ID number who is not associated with Paws and Claws Animal Rescue, Inc. in Hebron, KY will be prosecuted to the fullest extent of the law. Animal Rescue Corps (ARC) obtained a search and seizure warrant for a "rescue" in Graves County, Kentucky. This rescue group is rumored to have the name "Paws and Claws". They are based in Wingo, KY, and are NOT affiliated with us here at Paws and Claws Animal Rescue, Inc. The dogs that they "rescued" were living in deplorable conditions, dilapidated pens and small filthy cages in several buildings on the property. There were dead dogs and dog bones scattered throughout the property with the remaining dogs consuming the remains. According to ARC President Scotlund Haisley, it was one of the worst cases of animal abuse he had ever seen. These dogs had no access to food or water and were eating each other to stay alive. All animals were seized (including the remains of the dogs that didn't survive). The dogs were taken to Tennessee State Fairgrounds where an emergency shelter has been set up to house these dogs until they can be released into approved homes and rescue groups. This rescue mission has been dubbed "Operation Sweetheart" as it took place on Valentines' Day. Information is courtesy of the Animal Rescue Corps website, www.animalrescuecorps.org . It is disheartening to know that this happened in our very own home state. Even more disheartening to us at Paws and Claws Rescue Inc. is the fact that they were operating with the name "Paws and Claws". Please do NOT confuse our resuce with theirs. We do not abuse, neglect or hoard animals. We are strictly a foster based rescue and we take the utmost pride and care of our rescue animals. 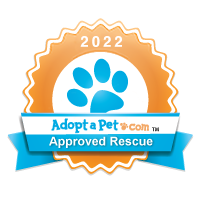 Our animals are safe and sound in foster homes approved by us firsthand. This is so our animals are part of a family while waiting for their second chance. Our hearts are broken for the dogs that didn't survive and we are extremely thankful for the lives that were saved by ARC and Graves County KY Sheriff. Approximately 100 dogs' lives were saved. Lives that may have been lost if they remained in the "care" of the rescue. This goes to show that action can and will be taken when concerned people stay persistent with their suspicions of animal abuse or neglect. The concerned informant that reported this "rescue" to the authorities saved a lot of lives by being persistant. We will continue to rescue animals in hopes that one day, our volunteer services will no longer be needed.